This template creates a box with two to ten images arranged vertically or horizontally with captions for the entire box or for each image. With the appropriate choice of parameters, the template can automatically resize images to a given total width with each image having the same height. If image size parameters are omitted, this template sets all images at 200px wide, regardless of whether the reader has set a preference for some other default image width. This causes multiple images to look out of scale to the other images in an article. Provide height[n] and total_width parameters to obtain automatic resizing. Note the different meanings of the width[n] parameters with vs. without automatic resizing. background color To set the background color of the box in which the images appear. width Use to set the same width for each image (i.e. overrides any width[n] below). Do not include if different image widths intended, including if images are to be resized to a fixed total width. total_width Use to scale the images to the same height and this total width. Do not use both total_width and width. image[n] (where [n] = 1 to 10) Filename of [n]th image. width[n] (as above) Two meanings: (1) The width (in pixels, integer, omit "px") of [n]th image. Overridden by width (if set). (2) The full width of the original [n]th image if total_width is given in order to resize all images to the same height and a given total width. height[n] (as above) The full height of the original [n]th image if total_width is given in order to resize all images to the same height and a given total width. Ignored otherwise. alt[n] (as above) Alt description for [n]th image. link[n] (as above) To specify the page to which the [n]th image is linked (i.e. the page that is loaded when the image is clicked). If set as empty (e.g. ...|alt1=... |link1= |caption1=...), linking is disabled (even to the standard Wikipedia image description page); consider WP:ALT. Note: This parameter must not be used with images that have been given free licenses (such as the GDFL or a free CC license) as these licenses require images to be linked to a declaration of the license under which they are being used. thumbtime[n] (as above) When using Ogg Theora files, sets the time within the video that is used for the initial display. This is either a number of seconds or hours:minutes:seconds; see commons:Commons:Video#Setting a video thumbnail image. caption[n] (as above) Caption for the [n]th image. footer Caption that spans the entire box, as opposed to individual images. Avoid "left" and "right" if possible, since mobile devices may display the images vertically. | footer = Players are cautioned with a yellow card and sent off with a red card. ...here overlaying a checkered background. | caption2 = ...here overlaying a checkered background. | footer = When a user has many of one type of [[WP:BARN|barnstar]], they can represent them with [[WP:RIBBON|ribbons]] and these numerals to indicate the count. The image of the mule links to Mule; the image of the donkey does not link anywhere; the image of the trout links to a standard image description page. | footer = The image of the mule links to [[Mule]]; the image of the donkey does not link anywhere; the image of the trout links to a [[Image description page|standard image description page]]. By default, the images the template presents are displayed horizontally, as a row (see left; equivalent to setting |direction=horizontal). To display them vertically, i.e. as a column, set |direction=vertical (see right). On mobile devices some images may always be displayed vertically if the total width is larger than around 320. Note: The following is unnecessary if all the images presented by the template have the same aspect ratio; if so, simply set width accordingly. File:Donkey 1 arp 750px.jpg shows "Donkey_1_arp_750px.jpg (750 × 536 pixels, file size: 125 KB, MIME type: image/jpeg)"
File:Rainbow trout.png shows "Rainbow_trout.png (300 × 300 pixels, file size: 158 KB, MIME type: image/png)"
Rectangular image of a donkey, originally 536 pixels high. Square image of a trout, originally 300 pixels high. | caption1 = Rectangular image of a donkey, originally 536 pixels high. | caption2 = Square image of a trout, originally 300 pixels high. To create an array of images, with multiple rows, use |perrow=. The value passed to |perrow= may be a single number, or a list of numbers delimited by /. This feature may also be combined with |total_width= for multiple rows of images with the same total width. 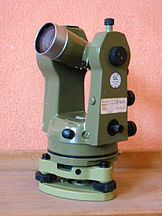 Surveying Equipment. Clockwise from upper left: Optical Theodolite, Robotic total station, Optical level, RTK GPS Base station. | footer = Surveying Equipment. Clockwise from upper left: Optical Theodolite, Robotic total station, Optical level, [[Real-time kinematic | RTK]] GPS Base station. The border around the images can be removed using |image_style=border:none. The gap between the images can be increased using |image_gap=N, where N is the number of pixels (must be non-negative). Sets text-wrapping around image box, where "none" places the box on the left edge with no text-wrapping, "center" places the box at center with no text-wrapping and "left" and "right" refer to position of box on screen with text-wrapping. Direction in which to tile the images. Defines the background color between the border of the box and the images. Image 1 is name of first image. Similarly for Image 2, etc. File name only; no "File:" or "Image:" prefix. width 1 is width of first image. Similarly for Width 2, etc. The [[alt text]] of first image (see [[WP:ALT]]). Similarly for Alt text 2, etc. Caption 1 is caption of first image. Similarly for Caption 2, etc. Where the first page links to. Similarly for Link 2, etc. If not specified, image links to the image description page as usual. If specified to the empty value, the image does not link anywhere; this should be used for purely decorative images as per [[WP:ALT]]. Important: If the image is under a free license like the GFDL or a CC license, you must not use this parameter as the terms of those licenses require the license, or a link to it, to be reproduced with the image. The image must, therefore, link to its image page. Public domain and (theoretically) fair use images are not subject to this restriction. If image1 is an Ogg Theora file, sets the time within the video that is used for the initial display. Either a number of seconds or hours:minutes:seconds. Similarly for Thumb time 2, etc. இப்பக்கத்தைக் கடைசியாக 11 திசம்பர் 2014, 17:58 மணிக்குத் திருத்தினோம்.